This Dalmanites sp. 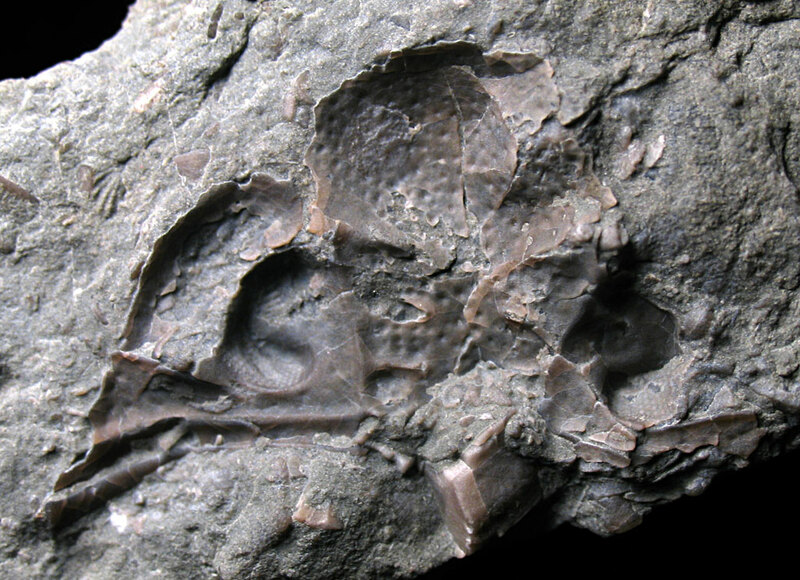 trilobite cephalon fossil was found in the Waldron Shale of Clark County, Indiana. 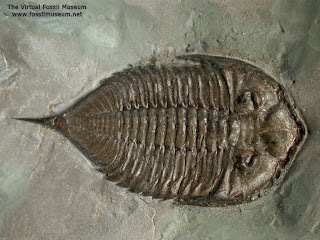 This trilobite existed in the Silurian Period. The fossil was prepped with sand abrasive cleaning. Unfortunately, I got too aggressive with cleaning and part of the shell was removed. The fossil is upside down and crushed. It could be a molt. The cleaning did reveal the eye and its lens. Thanks to my cousin Kenny for cleaning the lens area allowing a lot more detail to be seen. The picture below is of the fossil before prepping. 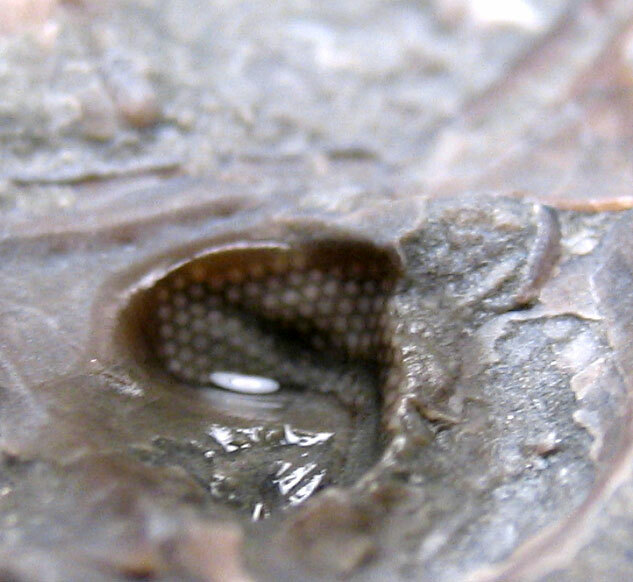 The eye on the right is covered in matrix and the left one is filled with rock. 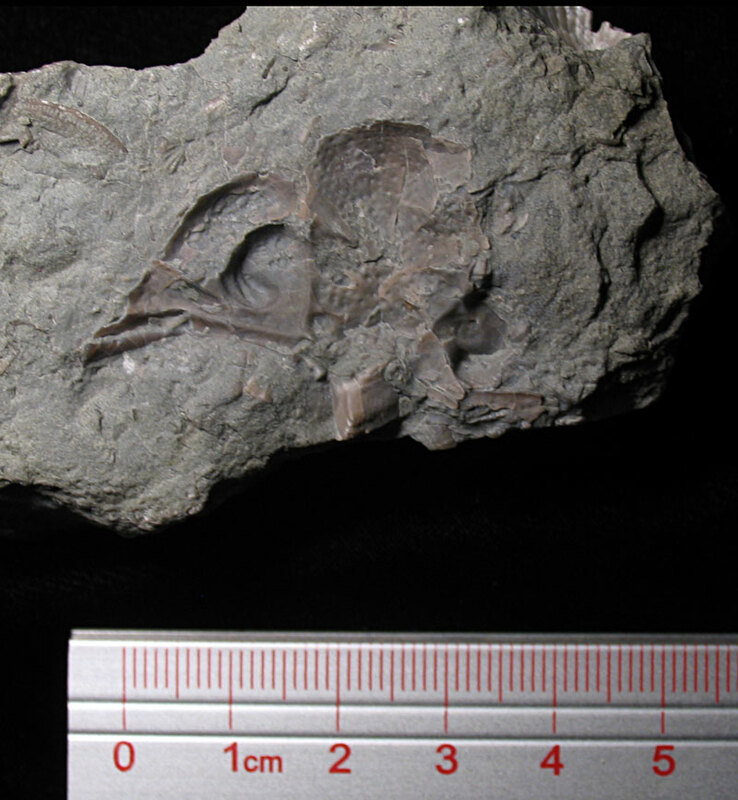 Next picture of an intact Dalmanites limulurus trilobite of the Rochester Shale Formation of New York. Fossil with ruler to give viewer an idea of trilobite size. These last two pictures are closeups of the eyes and one can see the lens details. More Waldron Shale trilobite fossils can be found in the Indiana State Museum collection database. Specimen 71.1.11160 is a nice find. 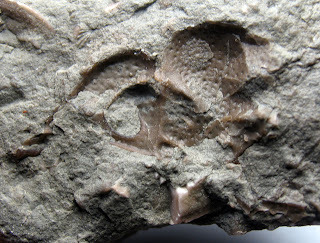 Bob Schacht's website has two very, very nice Dalmanites halli fossils from the Waldron Shale of Shelby County, Indiana. 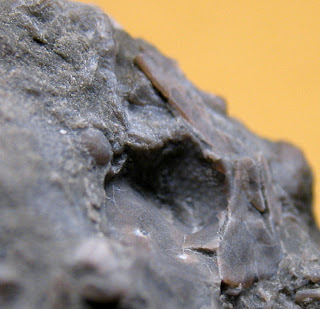 As described on the site, "simply stated, maybe the best Dalmanites ever to be found in the Waldron Shale Formation." Judge for yourself by seeing the page here. Want an intact Dalmanites fossil for yourself? As of this writing, one can buy one for about $175 US at the Indiana9Fossils site: Dalmanites Trilobites page.